Stephen Hawking, thrown into the Cosmos, aged 76. The universally known scientist, who liked to jest that his birth date – 8th January 1942 – was 300 years after the death of Galileo, has unfortunately departed our world. His death came as a surprise to billions across the world, despite having a restricted life expectancy from a young age. At the age of 21, he was diagnosed with a rare form of motor neurone disease and was given a few years to live. The disease degraded his bodily control to the point where he was limited to shifting his pointer finger and only having minute movements in his eye and cheek. Yet he demonstrated greatly admirable strength by refusing to let this disease confine him. Despite this, when he was first diagnosed with the life-changing illness, he suffered significantly from a hard-hitting wash of depression. Despite his physical handicap, his mental abilities were not restricted. He may not have been able to scribe the never ending equations that are vital to a cosmologist’s career, but he endeavoured to overcome this limitation through a programme written by Walter Woltosz, called an Equalizer. During the time when Hawking had control over movement in his fingers, the programme allowed him to access all of the letters of the alphabet and over 2500 words to aid his vocal difficulties. When his illness no longer enabled him to make use of his fingers, the programme developed to utilise an infrared beam. This worked by responding to twitches of his right cheek or eye and allowed him to open or close doors, giving him more independency for everyday tasks. Famously known for his cameos on shows such as The Big Bang Theory and The Simpsons, the physicist took his condition with a sense of whimsicality, even humouring his robotic-toned voice by apologising for his American accent. Despite his character being an important part of his personality, this was easily overcome by his truly brilliant mind. Hawking decided to apply quantum theories to black holes, and in turn discovered that black holes were – despite mythological belief – not black, but instead compiled of radiation of particles that would eventually explode and disappear over eons. It is unearthly findings similar to that which helped him make his mark on the world; an everlasting mark that will not fade despite his death and his loss will undoubtedly impact us for years to come. Have we fallen out of love with reading? As iPads and phones have taken over our lives, we have forgotten the true pleasure of reading. Nielson Book data revealed that only 32% of children read books every day with just 60% reading each week. Sadly, as new devices are released and digital entertainment rises, these percentages are forever decreasing. As most households now own at least one tablet or iPad, the children’s attention is directed to technology; this effect can be detrimental to their reading habits. I conducted a survey in hope to uncover whether teenagers were enjoying reading as much as they enjoyed scrolling through social media. Madeleine, 13 and five of her peers explained that they would realistically choose their phone. However, I was pleasantly surprised to find another five students from Year 9 who expressed that they would definitely choose a book over their phones. So, it was a pretty even split. This proves that there is some hope that we, as teenagers, are continuing to pick up a book once in a while to read, which is very important. It has been uncovered that reading improves your brain, reduces stress, improves imagination, develops critical thinking skills, builds vocabulary and raises self- esteem. So, what are you waiting for? Pick up a book and dive into the imaginary world of your choosing! During your life you are guaranteed to feel stress many times. As students, we’re also susceptible to stress. Whether it’s a big test or homework, stress makes us feel frustrated, short tempered and tired. So to do well it is crucial to learn to learn how to manage stress. Try and do more physical activities. Whilst this idea won’t work for everyone, going for a jog or a bike ride can give your brain time to relax. By going out and moving around your body can remove stress hormones, making you calmer and more focused. Daily exercise can give you a better sleeping cycle too. Speaking of sleep, a great way to become calmer in your day to day life is to get a good night’s sleep. To avoid stress before bed, read or take a bath. This helps to tire your eyes and get your mind ready to sleep; remember to always stop working a while before going to sleep, this gives your brain time to calm down after strenuous activity. Finally try to have a regular and constant sleep schedule so your mind knows when its bedtime. Talk to someone. This helps remove stress more than you’d think. They can help put your problems into perspective and give you solutions that you might not have thought of. You could also keep a stress diary. Write down what is causing your stress, how you felt (both physically and emotionally) and write down when and where this happened. Once finished, give your experience a rating from 1-10. Do this whenever you encounter a stressful situation. Then in the future you can look back at your experiences and see what stresses you out the most and find ways to overcome it. Amelia Earhart, an inspirational icon best known for her daring adventures above ground, has supposedly had her remains found on a Pacific Island. Scientists are now sure that the remains found in 1940 are a 99% match. Amelia and her navigator, Fred Noonan, both vanished without a trace in 1937, over the Pacific Ocean. Since their disappearance, numerous theories have surrounded the media, claiming different stories. Reports claim that a British party roaming an island in 1940 planning to habitat it, came across a human skull, a woman’s shoe, a Navy tool used by her close companion Fred Noonan, and a bottle of herbal liqueur Benedictine, an item Amelia kept very close to her. Overall, a total of 13 bones were found, and sent to be analysed by a scientist. woman’s shoe, a Navy tool used by her close companion Fred Noonan, and a bottle of herbal liqueur Benedictine, an item Amelia kept very close to her. Amelia was born in Atchison, Kansas on July 24th 1897. Earhart claimed that when she saw she was only 10 years old, she saw her first plane. On December 28th, 1920, Amelia had her first ride in a plane and she fell in love with flying in an instant. One year later, she took her first flying lesson, and her love for flying continued to grow. When Amelia was finally eligible for flight, she bought her first plane, a bright yellow Kinner Airster, which she fondly named “The Canary”. Although Amelia was most well-known for travelling the world in her plane, during World War One, Amelia became a nurse in Toronto to help aid soldiers who were wounded. She also promoted being a pilot. She even developed her own line of flight clothes that were featured in Vogue. Amelia Earhart was a true inspiration to millions across the globe, and she is still remembered for her bravery today. One of her most famous quotes was “The more women fly, the more who become pilots, the quicker we will be recognised as an important factor in aviation”. By becoming the first woman to cross the Atlantic in an aeroplane, Amelia destroyed all stereotypes, and refuting those who said that flying wasn’t “ladylike. Earhart spent much of her time promoting women’s rights. After years of training, Amelia earned the title of being the most famous female aviator in the world, an accomplishment that she is still remembered by today. After 70 years of providing our children with an assortment of toys, games and various products targeted at children, the chain retailer is set to close all of its UK stores by the end of April. Toys R Us filed for bankruptcy in September 2017 after failing to find a buyer in the US. 3,200 people are due to lose their jobs, and many are left wondering what happened to such a beloved store. Ask yourself this: nowadays, what do parents usually do to keep their children entertained? Instead of purchasing highly-priced dollhouses or toy cars, it is incredibly common to sit a young child in front of a tablet and play YouTube videos on repeat. Kid-friendly videos often reach millions of views! 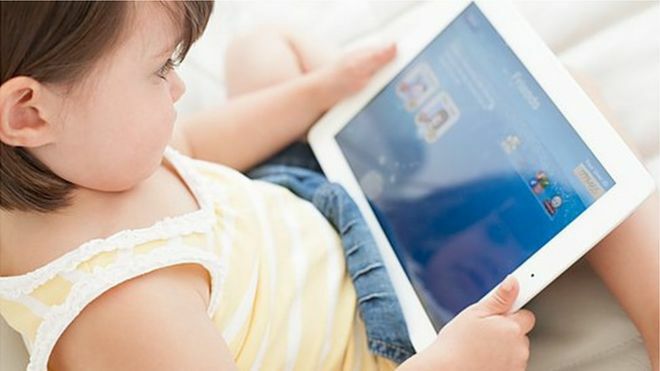 According to Ofcom research, over half of UK households own a tablet, and bafflingly, one in ten toddlers have a device of their own. By the end of 2015, 71% of children aged 5-15 had access to a tablet at home. Why waste hundreds of pounds on toys when you can make a single investment that the whole family can use? While Toys R Us is often the go-to place for toys, it is impossible to compete with the ability to download apps or watch thousands of videos at the touch of a finger. However, not everyone can afford a £300 tablet. Some would much rather buy stuffed animals for their little ones – isn’t this the perfect audience for Toys R Us? Unfortunately, the retailer is infamous for its excessive prices compared to its competitors. Even during a sale, stores like WH Smith offer goodies at lower figures. In addition to this, e-retailers are much more convenient for parents who work full-time jobs, not to mention they usually have low prices. Amazon’s massive online presence has been the cause of many stores being forced to close – and it’s easy to see why. Compared to lengthy car journeys and no guarantee of finding what you want, one-day deliveries and discovering the ideal gift in seconds is considerably more appealing. In an era pumping out new technology and easier ways to shop online, a retail store like Toys R Us is simply no match. As Amazon’s toy sales have grown, Toys R Us’ have declined. With the numbers of children using tablets exorbitantly increasing, will retailers stand the test of time? If a massive company like this can be shut down, others should learn to expand their presence online, or else they could be subject to the same fate. In the future, how will the current ‘young’ generation cope if they have no way of knowing some of the basic facts of life? ​We are writing to spread our concern on the current events of this topic. Despite it being discussed often, action needs to take place. It is concerning that the young generation have been left in the dark about ‘adult’ topics. But really, these so-called ‘adult’ topics shouldn’t just be for adults because they are not the only ones to be affected by them. As a child, I am aware of the fact that half the things my parents do, I am not able to do yet. How will I, with the lack of educational support given to me, look after a child, tax a car, mortgage a house and balance them all in my life? At school, we are taught fractions and equations, and are forced to take GCSE Religious Studies to learn about the world around us, but does this prepare us for life as adults? In countries where a different approach to education is taken, results are astounding. Finland has one of the best education systems in the world. They have dispelled homework, given teachers a decent pay, and focused on building social skills, rather than being fixated on the grades. As a country, England should be focusing, and striving to get a better education system. In education, children should be the priority. But how do we change this? It’s simple. Cutting out unnecessary areas in certain topics at school will benefit our future. Some schools are fortunate enough to have one hour of PSHE a week, however when we have four hours a week of other subjects, this doesn’t seem enough. Most young adults are left in the dark about life skills and struggle to adapt when they leave home. Although it’s not just up to the school to better the younger generation for the future, young people spend more time at school than anywhere else. Whilst some parents no doubt help guide their children with these issues, they should be part of the curriculum so all young people can benefit. Skipping Breakfast: Good or Bad? We all know for a fact that in the mornings it’s a painful experience leaving the safe haven of your own bed. Nevertheless, we all have to get up at some point whether you are travelling to school or work. However, those early birds who effortlessly get up significantly earlier can have the prize of eating a nutritious breakfast that will provide them with the much-needed energy. ‘Breakfast is the most important meal of the day’. Such a myth can be persuasive in our society. A study showed that breakfast eaters tend to make healthier choices in the day, but were unable to prove that breakfast itself caused this. On the other hand, people who skip breakfast are more inclined to smoke drink alcohol and exercise less. The evidence is conflicting and after intense research using randomised controlled trials, I have concluded that it doesn’t matter whether you skip breakfast or not. That is not to say that breakfast isn’t important. Healthy choices may be affected if breakfast is skipped but there is no true evidence that breakfast ‘jump starts’ your metabolism. It is a simply a myth that it makes you gain weight or overeat. If you feel hungry then eat a nutritional breakfast, if you don’t – then don’t eat breakfast! Now who’s ready for that well-deserved lie in! Will Counting Sheep Help you Sleep? You spend around half your life asleep, but do you know what really goes on in your head and how it affects you? ​Many people complain they are tired every day. Well, that is probably due to the amount of sleep you are getting. We asked a group of student’s ages 11-14 year olds how many hours of sleep they get; the lowest was 5 hours whilst the highest ten hours. This is an extremely wide range and whilst people can function on less sleep, not enough can affect you both physically and mentally. Teenagers are advised to have roughly 9 and a half hours of sleep however it seems many do not get nearly enough. With a lack of sleep comes impaired memory, because your brain is so exhausted it cannot calculate and remember things. This is why revise and cramming all night for a test won’t help because in the morning your brain won’t be able to function. Also, you become more stressed, sensitive and get overwhelmed with the smallest upset, which can cause you to fall behind on your schoolwork and other important deadlines. It can even lead to you feeling so fatigued that you begin to feel ill and sick. We all complain about being tired, but do any of us do anything about it? When you’re sleep deprived, your brain is at a higher intensity, resulting in your dreams being more vivid or visual- which sometimes leads to lucid dreaming or nightmares. As you’ve no doubt experienced, waking up from a vivid dream or nightmare can also mean that you lose sleep. We’ve been dreaming for centuries. In the REM (rapid eye movements) stages of sleep, we are most vulnerable to dreaming, something that can either be good or bad. After waking, you could feel like you’ve been in that dream for hours, when actually REM doesn’t really last for more than 40 minutes, but can repeat throughout the night. While this happens, your body shuts down the nerves in your spinal cord, putting you in a temporary paralysis. This means that if you dreamt of hitting a tennis ball with a racket, you wouldn’t mirror that action and try to do it whilst asleep. If vivid dreams are keeping you awake, try to ensure you wind down and relax before bed, aim to sleep for at least 9 hours and you’ll find your dreams become more manageable. So, consider the amount of sleep you get and whether you need more. It will really make a difference in your day to day life if you make these changes, so we would advise you to do so as soon as you can. Sleep is important for our bodies so don’t waste it! ​Chocolate: a delicious comfort food; a delectable delicacy we can always count on to cheer us up. Yet it gets so much hate from the media insisting it’s bad for your health or will make your teeth rot and fall out. Maybe to some extent that is true, however let’s focus on the health benefits of chocolate. Here are some interesting (and random) facts about chocolate. It contains phenylethylamine – the same chemical your brain produces when you fall in love which gives you a happy feeling. It also has endorphins that work to lessen pain and decrease stress, which is why chocolate improves our mood considerably. The smell of chocolate increases theta brain waves which triggers relaxation. Chocolate has an anti-bacterial effect on your mouth and protects your teeth against tooth decay. After a study, Japanese scientists found that chocolate is less harmful to your teeth than other sweet foods because cocoa beans have antibacterial agents that offset high sugar levels. However you should still eat it in moderate amounts because it does affect your teeth. If you love dark chocolate you’ll love this. Dark chocolate reduces your chance of getting heart disease, stroke and diabetes and lowers blood pressure. Chocolate can calm coughs. Scientists found the key ingredient, theobromine, is nearly a third more effective in stopping persistent coughs than the leading medicine codeine. Since it’s chocolate it has no side effects either. So whilst chocolate may not be the healthiest snack, it’s fair to say that small amounts can work wonders!